IDF official says Israel now in direct conflict with Iran, no longer fighting just through proxies. A senior Israeli military official confirmed that Israel’s air force was responsible for last week’s bombing of the T-4 airbase in Syria last Monday, adding that the conflict between Israel and Iran had entered a new phase of direct confrontation. Last Monday, combat aircraft bombed Syria’s T-4 airbase, killing 14 people, the Syrian Observatory for Human Rights claimed. Russia and Iran blamed Israel for the attack, claiming that two Israeli Air Force F-15 fighter jets had entered Syrian airspace from Lebanon. 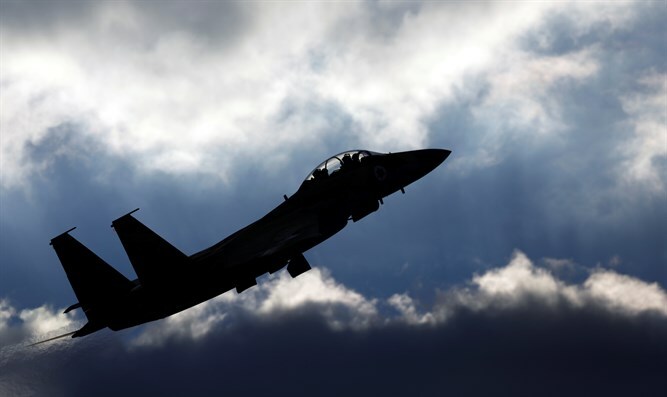 According to a senior Israeli security official quoted by The New York Times Sunday night, Israel targeted Iranian forces stationed at the T-4 base, adding that the strike was the first direct attack by Israeli forces on the Iranian regime. While Israel and Iran have been in conflict since the 1979 Islamic revolution, combat between the two was conducted through proxies, including the Assad-led Baathist regime in Syria, Hezbollah terrorist group in Lebanon, and the Hamas terrorist organization in the Gaza Strip. Seven Iranian personnel were killed in Israel’s strike on T-4. “It was the first time we attacked live Iranian targets — both facilities and people,” the source said. The comments join a statement made by IDF spokesman, Brigadier General Ronen Manelis, who said on Friday that an Iranian drone operated from T-4 which had violated Israeli airspace in February was en route to carry out an attack on Israeli forces, and was not merely on an information-gathering mission. Israel responded to the incursion into its airspace by the Iranian drone with a series of airstrikes by F-16I fighter jets on the T-4 facility. One F-16I was damaged by a Syrian surface-to-air missile, forcing the pilot and navigator to eject. Both were recovered inside Israeli territory.